President Donald Trump may want to “build a wall” to keep immigrants out of the U.S. or to allow school districts to roll back the bathroom rights of transgender students, but Superintendent Michael Morris is not going to let the White House alter the rights of students in Amherst. He released two statements in February to all students, families, and staff in the district clarifying Amherst-Pelham Regional School District’s position on the issues, and both were met with a generally positive response. The first statement, “Transgender Protection Statement,” was released February 23. In it, Dr. Morris reassured the community that all its schools will continue to uphold the law that “permits pupils to use facilities consistent with one’s gender identity.” This statement was also endorsed by the School Committee. 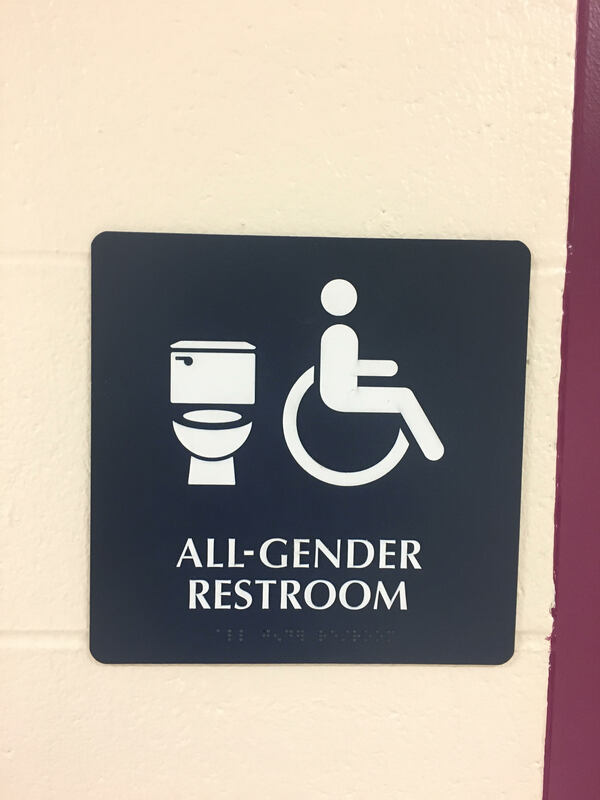 ARHS currently not only allows students to use the multi-stall bathroom of their gender identity but also offers three all-gender, single, locking restrooms for all students and staff. He said that though people are entitled to their opinions, he will continue to work to protect all students. This statement came as a response to the recent decision by President Trump to reverse the federal protections of transgender students that President Obama put in place. The Department of Justice and the Department of Education came together to discuss the topic and speak about President Obama’s guidelines. In response to Trump’s thinking, UMass Amherst released a similar nondiscrimination policy statement. The second statement released by Dr. Morris regards the rights of undocumented students in the ARPS school system and how teachers and administrators might be asked to handle delicate situations. “We seek to create an environment that achieves equity for all students and ensures that each student is a successful learner, is fully respected, and learns to respect others,” he said. Dr. Morris, Eric Nakajima, and the rest of the School Committee voted unanimously in support of this statement. Administrators, teachers, students, and local residents were concerned about the safety of undocumented students at school after this order. Dr. Morris’s statement requires that any immigration officials must notify the superintendent with warrants. School officials will request adequate evidence and credentials, and, if not given, access will be denied. This is put in place to ensure the safety and peace of mind of all of the students and staff of the ARPS community. It seems that in Amherst at least, the values of inclusion continue.